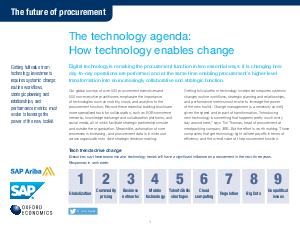 Digital technology is fundamentally changing procurement today while also shaping its future. That’s no secret. But how has it impacted your day-to-day work as compared to that of your peers? Do they value different technologies than you do? Do they see the future differently than you?